Anytime a business is taking on debt, it’s a scary proposition. Elaine Fairman from BEFCOR tells us about the pitfalls of borrowing money and how business owners can avoid the pitfalls, or at least manage them if something were to come up. Andrew Bowen: And we’re back. This is Andrew Bowen, your host of CBR’s B2U podcast. Bringing business resources directly to you. Today we’re continuing our conversation with Elaine Fairman from BEFCOR. In case you missed part one, you can find it at CBRBiz.com. Elaine, welcome back. We are very glad to have you here to talk all things money. Elaine Fairman: Thank you. I’m always excited to talk about small businesses. Andrew Bowen: That’s great. So in our last conversation with Elaine we talked about how BEFCOR can help business owners better understand the lending process by talking about the process itself. So, today we want to talk a little bit more about the downside of borrowing money. Anytime a business is taking on debt, it seems like a scary proposition–at least it is risk, just inherently. So, Elaine, what can you tell us about the pitfalls of borrowing money and how business owners can avoid the pitfalls, or at least manage them if something were to come up? Elaine Fairman: First, it’s a very time consuming process, and so the small business owner will need to start early and to be prepared that it will take some time. Also, to make sure to have realistic expectations about the process. Not just the time that’s involved but that there may be layers of approvals in the banks, and so sometimes banks will have different approval processes that they have to go through, and that lots of information will be required. Be prepared to submit forms, to fill out forms, to send out emails, and to follow up on it. Also, I think sometimes business owners are a little bit unrealistic about the terms they would like to have for their loan. This is particularly true of a business that is borrowing money for the first time or has not borrowed a lot of money, that has only had small loans or lines of credit in the past. So just understand that when rates are low and the small business owner wants the lowest rate for the longest term that your bank may have a different idea…that when interest rates are low sometimes it is more difficult to get a fixed-interest rate for a long period of time. So, just sort of know what’s out there in the market. Also, there are always fees that are involved when you get a loan. There’s an old saying that it costs money to borrow money. And that’s certainly true when you’re getting a loan from a bank. Be prepared for professional fees, for closing fees, and contingencies, so it will cost you some money to get a loan. Something else is that personal guarantees are likely to be required. Some small businesses do not like signing a personal guarantee because it commits them to pay the loan back if the business is not successful. However, a personal guarantee is standard for getting most business loans, particularly when you have one or two small business owners that own the majority of the company. So just be prepared that you may have to sign a personal guarantee. Something else is that, if you don’t have good financial records, you can expect more questions from the bank, and you can also anticipate that the bank will be concerned about your cash flow. Because if you don’t have information that tells you how much cash the business has and how it has been spending it..
Andrew Bowen: Then how can you ask for more money? Elaine Fairman: …how can you get more money? Elaine Fairman: And how can they trust that you can plan ahead to pay the loan back? So that’s important. Cash flow is so important and is so dependent on good financial information, and that cash flow is such a critical piece to getting a small business loan. Because it tells the bank how you’re going to pay the loan back. Andrew Bowen: So good records are paramount? Elaine Fairman: Absolutely. Absolutely. I think sometimes small business owners think that it’s okay to keep your own records and that you only go to an accountant or a CPA for tax returns, and that may be okay in the very early stages of your business, but as a business grows, the money that is invested in good record keeping and good financial records is well worth it. Andrew Bowen: It kind of pays itself back when you go for the next line of credit, and you don’t have to really put in the time or the effort to pull the good financial statements because they’re already prepared for you. Elaine Fairman: Absolutely. Absolutely. I think too, the process is stressful for small business owners, especially for small companies where the small business owner runs the business and runs a lot of the different facets of the business. And so, when you add the extra layer of needing to borrow money, and the bank needs these documents, and you’ve got to go find these forms, and get these records out…it’s stressful. And for businesses that undertake construction projects where you have cost overruns and you have weather delays, it can be a very, very stressful time for a small business owner. So I would say just, sort of, anticipate that up front. Andrew Bowen: Yeah, because it takes a lot of precision for financial statements. You can make an oopsy on that. Elaine Fairman: Right, and things happen in the financing process as well, such as the weather when there’s construction involved. Also, you know, sort of, be prepared to understand the bank terminology. You know, a bank will discuss amortization schedules, and so the small business owner needs to understand and ask questions if the bank says something or uses terminology that they’re not familiar with. Another pitfall, I think is sometimes, as we talked about before, not getting enough money. Not planning for cost overruns, and so if a business has a loan that is only a certain amount and there are cost overruns and there’s no flexibility for the bank to increase the loan to cover cost overruns, it can really impair the small business’ cash flow. So you need to be prepared to have a contingency fund and to plan ahead, and if you don’t need it, great, but if you do need it, the money’s there. Andrew Bowen: Yep, have a plan. Elaine Fairman: Absolutely. And I will say that in almost 30 years of financing with small businesses, that only a few projects I have seen come in under-budget. It always takes more money and takes more time. Elaine Fairman: So just be prepared for it. I mentioned earlier the mismatching of sources and uses of funds. Which is simply getting a loan that is not suited for the business’ needs. So if you’re financing real estate, you want to make sure you’ve got a long-term loan to pay that back. If you’re financing something short-term, like a vehicle, you’re going to want a shorter term loan. And again, the purpose for that is to make sure that the cash flow is matched up correctly, that you’ve got a payment schedule that suits the life of that asset that you’re financing. Andrew Bowen: And this is where some extra help, or at least counsel, would come in handy. Like you said, don’t necessarily just go to an accountant or CPA once a year for taxes. But if you had someone that you were using on a regular basis, you could kind of bounce this off of them beforehand, before going to ask for financing. To make sure things line up properly. Elaine Fairman: Absolutely, and North Carolina is blessed to have a number of CPA’s and accounting firms that specialize in small business financing, or small business services, and they want to help small businesses, and they have experience in it. So I encourage small business owners to take advantage of that. Find a CPA or an accountant that is suited for your size of business and then rely on their advice when you’re undertaking something large, like taking on a financing project. Elaine Fairman: Down payments are going to be required, and for most business loans, the business owner or the business will have to contribute part of the money. So the business owner needs to plan ahead. Is that money going to come from their own personal resources? Are they going to sell stock? Are they going to pull it out of the business’ cash flow? But where is that down payment going to come from? Because if it’s not there it can make it difficult to get the bank to finance their part of it. Elaine Fairman: Absolutely. Absolutely. Also, some banks are familiar with a lot of different financing programs, and some banks are not, so be careful in deciding which program, if you’re adding a program to the bank’s loan or you’re using multiple sources, get all the information you can to make sure that the information you have is accurate. Reach out to multiple sources. Get information from different places. Ask around. Talk to other small business owners. Go to networking events, and find out what experiences they have had in getting loans, and rely on your own research and your own experience of other business owners. 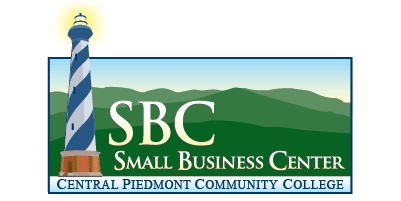 Andrew Bowen: Yeah, and then, like you mentioned earlier, SCORE and even the CPCC Small Business Center folks who are there really to counsel business owners in many things including, maybe, what track of financing to go to before they even take that first step. Elaine Fairman: Absolutely. The wrong decision in getting a bank loan will cost the business for years, and so it’s really important to find the right loan, to find the right bank, and to get good advice so that the business is set for its project and set for success. Andrew Bowen: And have good records. Andrew Bowen: Well, the more you know. Elaine, thank you again so much for being here. Our time is up for this segment, but we are already looking forward to our next discussion where we will be diving into what business owners should expect during the lending and borrowing process. Listeners, if you want to learn more about financing your own business visit, www.CBRBiz.com, or follow us on Twitter @CBRBiz. Thanks for tuning into this CBR B2U Podcast presented by CBRBiz.com. Until next time, we mean business.